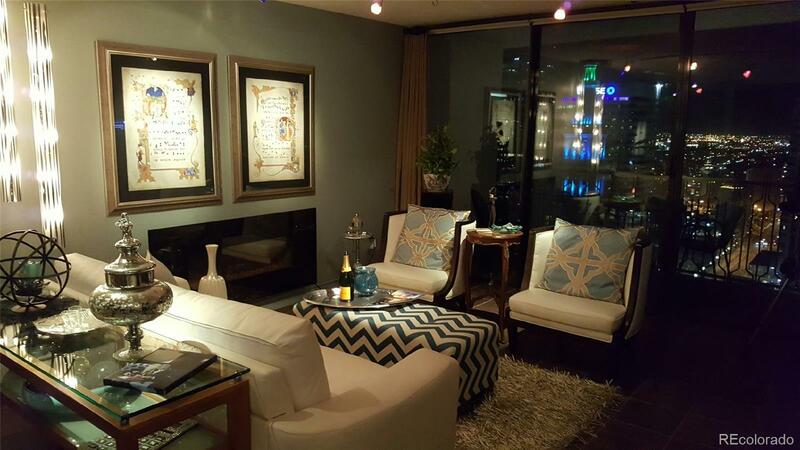 - HIGH END UPSCALE BEST 1BD IN BROOKS! BEST VIEWS! OPEN BALCONY BEST FACING! RENT TO OWN! total remodel with all slate floors (you cannot install hard surface floors anymore) - custom cabinetry throughout - thousands spent on custom lighting, LED fireplace, upscale designer furnishings and decor, new everything, good for corporate unit or just move in! 24 hr concierge/business center/gym/pool/sundeck/billiards. Steps to theater district and 16th street mall. Building has 3 restaurants/Ace Hardware/nail/coffee shops/hair salon! urban living at its best and much less expensive than other downtown high rises! most gorgeous unit you will see! See all of the one bedroom units for sale then see this one - prepare to fall in love - HOA allows 30 days rentals so this is a turn-key corporate unit or short term rental!!! Parking for rent at the Hines Building steps away for $215 mo.